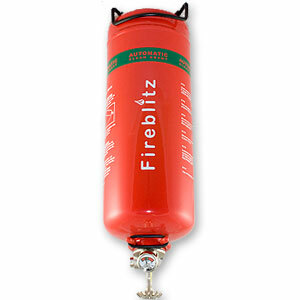 The Fireblitz 2kg FE-36 Fire Extinguisher is manufactured in the UK and is specifically designed for use in enclosed areas such as boat engine rooms as well as computer server rooms. FE-36 is the replacement for Halon and is completely harmless to sensitive electrical equipment and systems whilst at the same time giving all the same fire fighting benefits. FE-36 Automatic Fire Extinguisher is manufactured in the UK under ISO 9001:2000 quality management systems. The 2kg FE-36 extinguisher is suitable for all Class B (oils, liquids, petrol, diesel) and electrical fires.